- Certified teacher trainer "First Steps Mathematics"
- Awarded 2006 "My Favourite Teacher"
"Martin has a unique ability to really understand each individual child"
Martin has been my maths tutor for nearly 3 years. In this time he has been extremely helpful and supportive. Because of this I was able to improve significantly in mathematics. I would not have been able to do this without him as my tutor. Thanks Martin. I think it is quite a task making maths tutoring fun and effective, especially at a weekend, but that is what Martin has always managed to do with Michael. In addition to teaching in a friendly, relaxed, aged appropriate manner, Martin’s years of experience in teaching maths and working with children of all ages really shines through. Martin has a unique ability to really understand each individual child; their strengths, areas for improvement and their personalities and tailor his teaching to their needs and personality to get the best out of them. We have had the pleasure of working with Martin for nearly three years and Michael has enjoyed and benefitted from every session. Martin is the perfect balance of calm, guidance and assertiveness (when needed) to push Michael when he needed it, but also celebrate successes and wins, such as understanding a maths concept that was eluding him. He uses his sense of humour to keep each session engaging and interesting, and there has not been a session with Martin that Michael has not enjoyed (and they have been Saturdays). 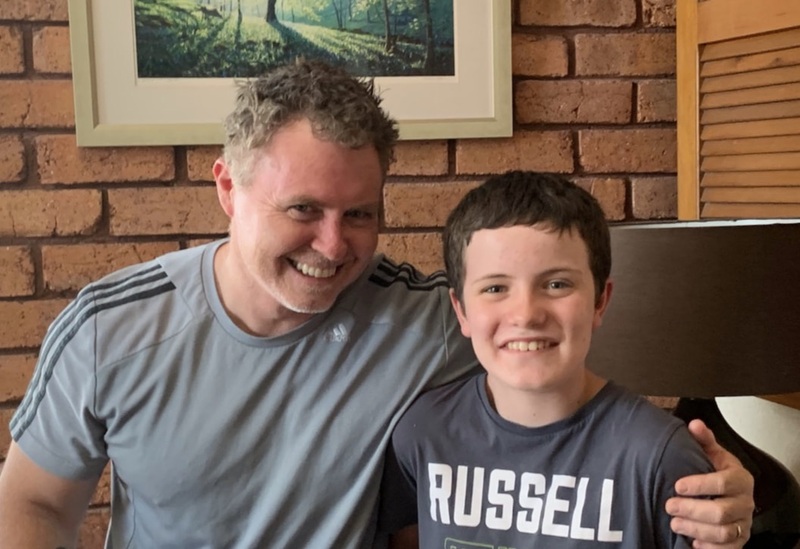 It’s been a long time since I’ve done any maths (and a long time since Tom did too) so it’s been great having Martin to explain any ‘new’ ways maths is now taught, which helps us support Michael between sessions and during his homework. Thanks Martin for all your hard work, and we hope you’ll be available for another six years, until Michael finishes school! "he is simply the best there is!" "Martin has been tutoring my son Charlie in Maths for 3 years now and I believe this has been the best decision I have made regarding my son's education. I have seen consistent and impressive improvements in my son's test results over this time taking him from a position behind the pack to one where he is now confident in his ability to learn new concepts and solve problems. Martin is very methodical and takes time to ensure the student masters the foundations before bringing them up and beyond the level of their peers. He always encourages any positive behaviours and by using his extensive real-world educational experience combined with some humour, ensures that they are driven to succeed. My son, now in Year 6, genuinely looks forward to their session each week and comments that Martin is helping him to understand the concepts he is learning at school. I have used other tutors and programs in the past but none have come close to providing the results Martin has. I have found him to be prompt, courteous and flexible and feel he provides the best value for money by far. I will continue to use Martin to assist my son - he is simply the best there is! "I have never seen my son so engaged"
"Martin has given my son Jack Pedley his confidence back. Thanks to Martin, Jack is back on top with his Maths. Martin is professional, happy and an excellent teacher. Jack looks forward to Thursday afternoon, I have never seen my son so engaged in a subject like this before.10 out of 10 from the Pedley family. Thanks heaps." "I thoroughly recommend your services to other parents"
"J. has learnt more over the last 15 weeks since you began tutoring him than he has during his first 4 years of schooling. Thanks to you my son has a newly found confidence and is actually enjoying mathematics despite all those years of struggling with this particular subject. He looks forward to seeing you each week. You have a kind, patient and friendly approach with children and a thorough understanding of the different learning styles in order to get the most of out them. I thoroughly recommend your services to other parents who are thinking of one-on-one tuition." "During Year 6 my son had become disinterested in school and it was beginning to show in his results, particularly Maths. He was resistant to the idea of a tutor to help him improve his maths marks, but Martin was able to win him over with his calm engaging manner almost immediately. Martin was exceptionally patient and generous with his time. 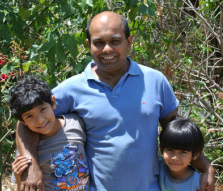 He was able to motivate my son to practice maths where I had been unsuccessful in doing so. As a result my son began to enjoy success in maths at school again. I highly recommend Martin's services as a maths tutor." 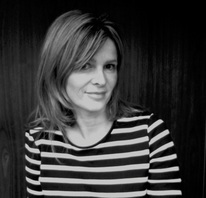 "I have noticed an amazing improvement"
"Just a quick note to say thank-you for helping Sara. In the past 10 weeks I have noticed an amazing improvement in Sara’s confidence with maths and her ability to use the strategies you have taught her. Sara gets excited even of the thought of you coming to tutor her, and is always happy to listen and get involved in the tutorials. Martin, you have shown Sara that maths isn’t hard and anybody can do it. Consolidating basic number facts and multiplications has meant it is all coming together naturally for her. I am happy to see Sara pleased with herself, and confident in maths again. Martin, I can’t thank you enough." "As an experienced teacher myself, and as a parent of one of Martin's students, it is with pleasure that I offer this recommendation. Martin is a highly professional and passionate maths teacher who loves teaching mathematics. Martin has the ability to demystify maths for students thereby allowing them to experience success. Martin has high expectations of his students because he believes they can achieve far more than they initially believe themselves." "Thank you so very much Martin for giving Bailey the tools that he needs to understand maths and to be able to find it fun. Bailey has gained confidence in this area as a result of your fun teaching methods and the set daily practice homework, which he will continue to do. If we ever notice that Bailey starts to slip behind again you will be the first call that we make. Thank you." 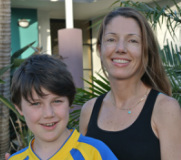 "I highly recommend Martin to anyone who is seeking a maths tutor for their child. The improvement that we have seen in Hamish is immense. His style is relaxed and fun, which gave Hamish the confidence he needed from the very beginning. Keep up the good work Martin and thanks a million." "Thank you Martin for working with my son. He has struggled with grasping the concepts of Maths, now you have given him the confidence and encouragement that he can do this. His whole approach to Maths has changed, he is much more positive and willing to give it a go. Thank you again, we look forward to continue working with you." "I cannot thank you enough Martin"
"Ryan began with Martin in the middle of 2013. Ryan was transitioning into a new school and he was below his year level and was struggling in maths. 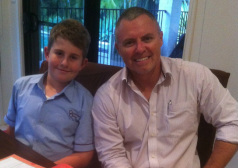 Martin was persistent and Ryan has just received a credit for maths and is in the top 20% of year 5 in Australia. I cannot thank you enough Martin for giving Ryan his confidence, his ability to understand math problems and for your patience." 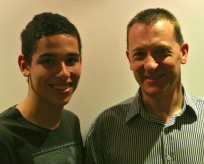 "He has a natural calm and engaging personality"
"Martin has provided my son Jordan with the confidence and belief to improve his maths. He has a natural calm and engaging personality which immediately put Jordan and myself at ease. He is a great communicator and listener. My son has not only improved his results but his self-esteem which I believe is the building blocks of learning. Martin makes him feel like an equal .Thank you Martin – keep up the good work." "We are so glad to have him." "Many thanks for the fantastic work you are putting in - much appreciated." "Math like sport need practice. Martin is brilliant at doing this and establishing a strong foundation to work on. Our two boys (in grades 1 and 4) have been working with him since June, 2013. The results are extremely encouraging. We are so glad to have him." 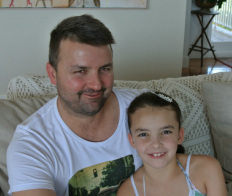 "Martin teaches maths concepts in a way that is easy for our daughter to understand. He has a thorough knowledge of the school curriculum and has a positive approach to teaching. Our daughter is enjoying maths and is having fun solving problems. Her maths results have greatly improved." "Martin O’Hanlon has been our Granddaughter’s Math’s tutor for several months. During that time we have seen a gradual improvement in her Math’s ability. She has had other tutors in the past but has had the most success with Martin as her tutor. Her school reports have also noted a significant improvement. Martin is very patient and understanding with his students and I would recommend him to anyone requiring his services." "Since Ryan has begun tutoring with Martin, he has become so much more confident with his number facts. Ryan really enjoys his sessions with Martin as he finds strategies to keep Ryan interested and amused during his lesson. Rob and I cannot recommend Martin highly enough !!!" "Before starting with Martin, Hannah had no confidence in Maths and simply dreaded the subject. Despite our encouragement and best teaching efforts, her work was not improving. Martin is a calm and patient teacher who has worked through the basics to restore Hannah's confidence. She now loves Maths and is achieving results beyond our expectations. Thank You Martin!" 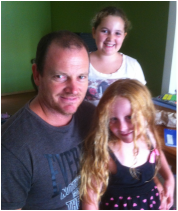 Martin from Maths Tutor Redlands has really helped my girls to become more confident in mathematics. Martin’s patience and gentle tone has helped the girls, especially my youngest who really struggles with maths, to start enjoying mathematics once again. The great reports from their teachers are testament to Martin’s work with the girls. 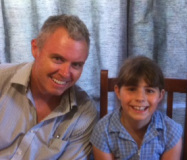 If you were looking for a good tutor for your children I would highly recommend Martin from Maths Tutor Redlands. My daughter Stephanie was having problems with Maths at school, Martin has been tutoring for the past 15wks. We are pleased with Stephanie's progress. She has learnt more with Martin than in the 5years at school. He has been a life saver. Thanks so much for your support Martin. Stephanie's confidence has boosted!! Martin is an experienced and thorough teacher. He has successfully managed to engage our son and has restored his confidence, not just in mathematics but in other academic pursuits as well. Thanks for your positive and professional attitude, Martin! NAPLAN tutoring specialist provides one-to-one maths tuition to students in years 2-8. 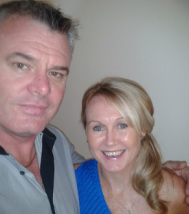 Martin O'Hanlon will come to you at no extra cost, or tutor from his home studio in Cleveland, Redland City, Brisbane.